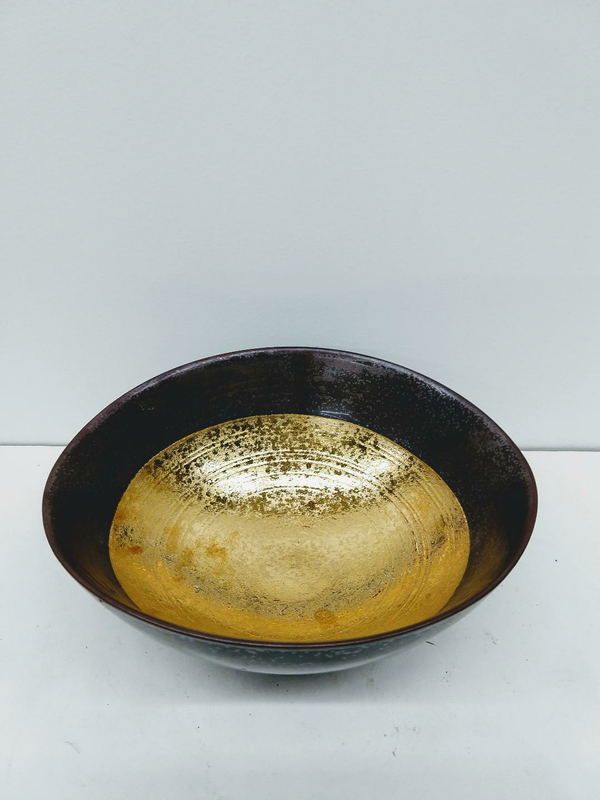 Opulent oval brown bowl with gold interior. 7 1/4" X 6 1/2" 2 3/4" height. Not for microwave.